A two-week-old giraffe has put in his first public appearance. Mburo was born at Chester Zoo on March 5 but has spent the first couple of weeks indoors bonding with his mother Dagmar. 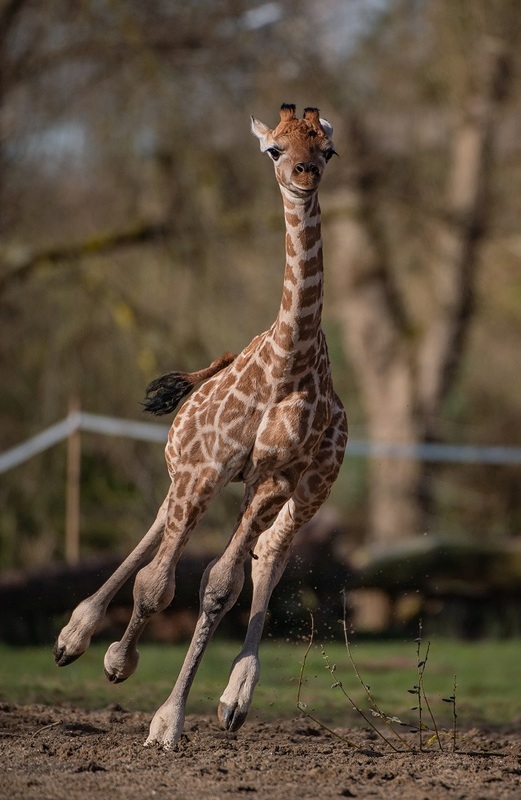 Now the 6ft tall Rothschild’s giraffe has ventured outside for the first time, stretching his legs as he cantered around on Wednesday, which is also International Day Of Happiness. Sarah Roffe, giraffes team manager at the zoo, said: “Since being born just two weeks ago, Mburo has been spending lots of quality time with mum Dagmar and the rest of the herd. Rothchild’s are among the most endangered of the nine sub-species of giraffe, with fewer than 2,650 remaining in the wild. Mburo’s birth comes as Chester Zoo works with the Giraffe Conservation Foundation and the Uganda Wildlife Foundation (UWA) to help protect the Rothschild’s giraffe population. “To see a young Rothschild’s giraffe calf strutting his stuff is really quite special – a real privilege when you consider that fewer than 2,650 remain in the wild,” Ms Roffe said.